Fantastic...He looks like an Argentinean comedian called "El Gordo" Porcel in a bad hair day!...Who he? I've got it! 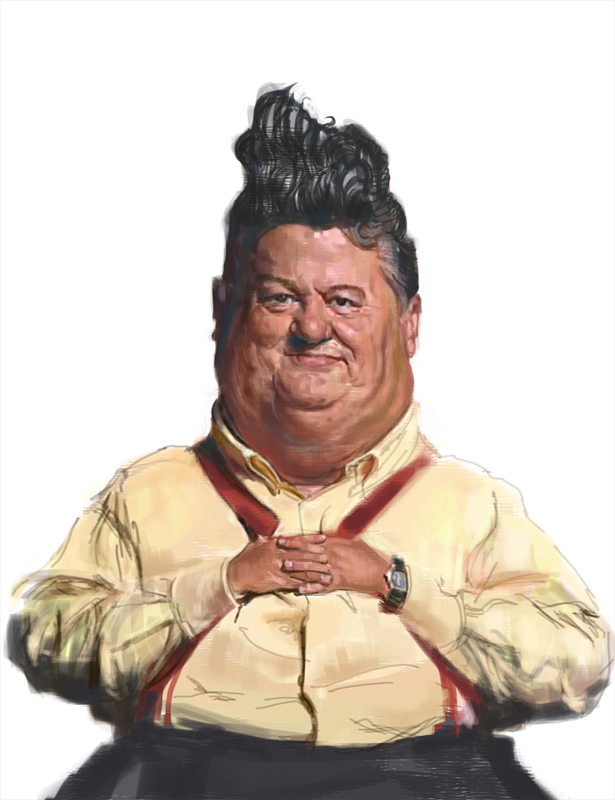 !...Is Robbie Coltrane! Whoever it is, it's great picture! nice one, great face, really alive! Andrei, interesting to see your initial sketches on the woman 'busy time' . It looks like that you're starting more with a rough 'skeleton' approach and then flesh it up, right? the articulations are so quickly set ( knees ). It made me realise I tend to drawn outlines, even when roughing up paintings, and that I should try something along your approach, for the sake of quicking the crap out of the old habits ;) Thanks for the inspiration! One of your best cariacatures yet, Andrei. always inspiring to see your paintings! Dear Andresito, I hope you don't mind I am using your wonderful picture as a form of identification...Thanks! Oscar is right, he looks like to the comedian Jorge Porcel from Argentina. But Porcel has gone. As good as the very best. More! wonder of the fine arts!! awesome illstration! never seen a guy with so many chins! Amazing work as usual ! !